The upgraded version of the third generation of Highlander saw the light in 2016. The appearance of the restyled version of the crossover, the presentation of which was held at the New York Auto Show, has not changed fundamentally. Improvements have touched the grille, as well as the shape of the headlights and rear lights. In addition, in the car appeared new design wheels. The key change was the new 3.5-liter V6, it is more economical and power (295 hp vs. 270 hp). 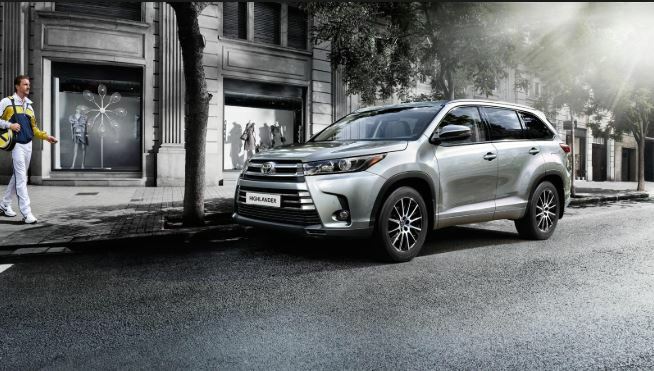 Under the hood, the Highlander has a 3.5-liter V-shaped, 6-cylinder engine equipped with a range of high-tech systems: the combined injection D-4S, the intelligent throttle control system ETCS-i, the new variable valve timing system VVT-iW. Due to all this, the maximum torque increased by 19 Nm, while the peak of power shifted to the zone of lower revolutions. Fuel consumption in the combined cycle is 9.5 l / 100 km. The engine meets the requirements of Euro 5. It is completed with an absolutely new 8-speed automatic transmission. A car weighing 2175 kg accelerates from zero to 100 km / h in 8.8 seconds. The maximum speed is limited to 180 km / h.
Highlander front suspension is independent with suspension struts, such as MacPherson. Rear suspension is double wishbone. The gear-rack type steering with an electric booster is quite informative, and relatively short suspension moves minimize roll in corners. Dual-piston brakes with ventilated discs are installed on the front axle, and non-ventilated discs with single piston mechanisms are mounted on the rear wheels. A large wheelbase (2790 mm) allowed the Highlander to be spacious and to increase the capacity of the luggage compartment. Its default volume (with the third row of seats) is 269 liters, and with folded additional seats it is 813 liters. 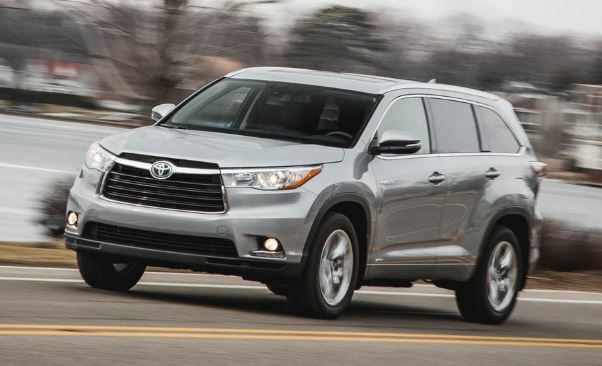 The minimum turning radius of the crossover is 5.9 m. The minimum ground clearance is 204 mm. If we talk about security, then here the manufacturer has not changed the tradition, giving Highlander all the most modern and necessary equipment. In the basic configuration, the car received an integrated active management system (IDDS), a rear-view camera with dynamic marking lines, a blind zone monitoring system with a visual alert function (BSM), a system for lifting slopes and downhill tires, tire pressure sensors, tracking system for blind zones when leaving the parking lot in reverse. And this is in addition to the presence of the already familiar systems ABS, EBD and BAS, Stability and traction control systems. In the more expensive configuration “Lux Safety” offers a system for monitoring driver fatigue, warnings about the threat of a frontal collision with automatic braking, cruise control with the function of maintaining a safe distance to the vehicle in front, recognizing and informing about road signs and unintentionally crossing road markings as well as four panoramic view cameras. Highlander has a lot of competitors and almost all of them were created with an eye to the North American market. In addition to Highlander there are such models as Grand Cherokee, Tahoe, TrailBlazer, Mohave, Touareg), which are also close in consumer characteristics. « Is Ferrari 330 GT 2 + 2 Shooting Brake the best example of these bodies?